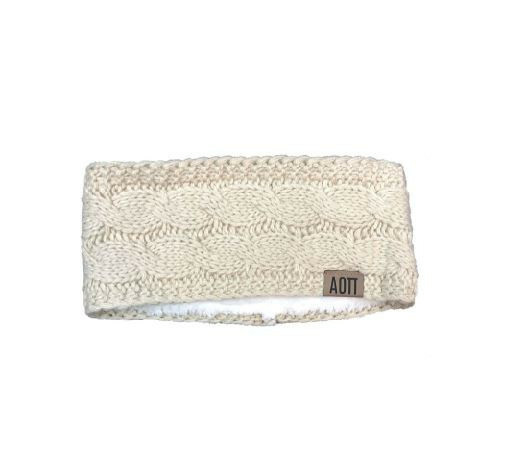 Alpha Omicron Pi CC Headwraps. Soft and Cozy with a full range of neutrals and beautiful colors - what's not to love about our collection of CC Headwraps?! You'll be fashion forward and ready for cooler weather! Engraved leather patch sewn into the headwrap.